Homemade Awning Cleaner Recipe: How to Keep Your Awning Looking Like NEW! Homemade Awning Cleaner Recipe: How to Keep Your Awning Looking Like NEW! I’m going to share our Homemade Awning Cleaner Recipe with you today… and some tips about how to maintain your retractable shade system so it looks good as new season after season. At Breslow Home Design Center we know just how important it is to keep your awning in tip-top shape. After all, it’s an extension of your home, so you want to maintain it properly. …but even the best fabrics can get dirty, or possibly you selected another company for your cover and are running into some issues. Either way, it’s good to have an ace up your sleeve when it comes to keeping your awning looking fresh and new. So sit back, because I’ve got some great suggestions that will help you keep your outdoor shade system looking awesome for years to come. The truth is you don’t need super expensive solutions to keep your awning clean. In fact, I would say awnings don’t really don’t require much maintenance at all. Fabrics from a company like Sunbrella are made to last about 10 years before they start to show their age. This is because of their composition. For example, Sunbrella material is made of acrylic. Essentially, we’re talking about plastic threads that are woven together to look and feel like traditional fabric. Which means they are RESILIENT. These threads are solution dyed to the core, which means they have incredible color retention too. So, in a nutshell, your awning cover is low maintenance by design. I don’t personally think it’s all that necessary to clean your shade system regularly unless you have a lot of trees, droppings or live near the beach and don’t have a fully cassetted awning. Most awnings are installed in sunny areas and are used for shade or to keep guests dry in light rain. I would go as far as to say that a gentle rain acts like a natural cleaner, reducing the need for maintenance. If you happen to live in an area where the elements are an issue we would prefer to sell you a fully cassetted awning so no fabric is exposed when the shade system is not in use. This provides the ultimate protection for your awning. NOTE: As an aside, the one part of your awning that will wear out fast is the valance (that is if you have one). To combat this we encourage our customers to order an extra valance when they purchase their awning. This allows you to swap the aging one out for the new valance in 5 years when it starts to look a little worn. This simple trick can transform your awning in next to no time – and won’t cost you much at all! Homemade Awning Cleaner Recipe: For Those Times When You Need It! …or if you happen to get some staining we’ve got that angle covered too. We have two great Homemade Awning Cleaner Recipes to assist. Ignoring your awning for months at a time until you notice that it’s deeply stained is a bad idea. As with anything else an ounce of prevention is worth a pound of cure. I’m sure you’ll see me using this phrase from time to time because it’s so right on! My recommendation? Take time out every month to really look at your awning. If it’s not up to par you can give it a light wash to bring it back to its original glory. It makes sense to address potential issues before they become a problem. The thing is, washing your awning isn’t all that easy. You have to get a ladder out to reach the expanse of your shade system. So I have a tip for you! A simple way to get to the fabric without having to hassle with a ladder is to clean the exposed material as you slowly roll it in! Using a soft bristle brush, gently scrub the fabric with our Homemade Awning Cleaner recipe. Then rinse the soapy residue off and allow the material to air dry – rolling in a new portion of fabric as you continue. You can work your way through the whole roll this way. This solution only works for semi-cassetted systems. If you happen to have a fully cassetted awning, you needn’t worry. They don’t require much cleaning at all because your fabric is completely protected from the elements when it’s retracted. NOTE: If you’re unhappy with your the way your awning cover looks, replacing it is a very easy fix and costs a fraction of installing a new awning. If this is your situation give us a call today at Breslow Home Design Center. We can help! Retractable awnings are incredible. They add so much value to your home through increased space, energy savings, and curb appeal. There are very few things you can do to your abode that will add as much for this price point. That’s why it’s imperative for you to treat your awning with care. If you do, it will give you and your family pleasure for years to come. My best advice? Do NOT leave your shade system up overnight and make sure it’s retracted in inclement weather. Sure a lot of manufacturers sell shade systems with the promise that they will hold up in high winds and will resist rain. The thing is, you don’t want to leave your awning up in bad conditions. It’s just not worth it. In my humble opinion, motorization and wind/sun sensors are great add-ons if you want to maximize the life and usefulness of your awning. Hey we’re all human and it’s easy to forget to retract it – so why not get some help? This is the perfect breeding ground for damage. If you accidentally leave your awning out in a storm and it’s in bad shape, take the time to clean it off and let it air dry BEFORE you roll it back in. If water is pooling at the top simply take a broomstick and gently pop the fabric up to knock the water off. Once your awning air dries and you see there’s no debris, the awning can be retracted. This may sound like common sense, but you’ll be surprised how easy it is to forget this sort of detail if you aren’t actively thinking about it when you retract your awning. Especially if you live near the ocean. Did you know salty air is very corrosive? To keep this from causing an issue, wipe down your hardware and clean it every couple of months. 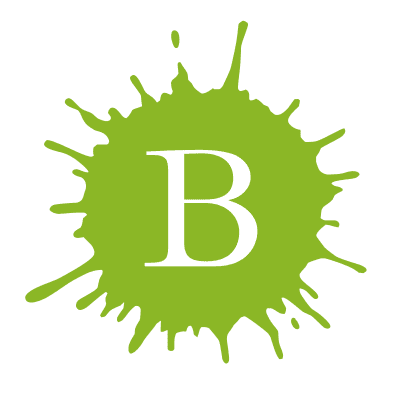 Sure, at Breslow Home Design Center we use some of the best awning manufacturers available and as such their hardware is pretty indestructible. But if you want to get the best out of your shade system wipe down the hardware occasionally. Go through all the components and check out your cover to make sure everything is in order. Once again if your awning is looking a little lackluster you can use the Homemade Awning Cleaner Recipe I’m sharing with you below to spruce things up. It’s important to take into account the condition of your awning before you start using it every season. That way you get a jump on issues that may have cropped up…before they become more serious later on. Creakiness: This may mean your awning needs some oil or lubricant in the joints. Front Bar Is Not Level: Awnings can go out of alignment causing the front bar to droop to one side. These are pretty quick and easy fixes. Thankfully Breslow Home Design Center provides maintenance and cleaning services. You can book us to come out to maintain your awning saving time and hassle. Our services run from $150 – $600 depending on what you need to be done. To give you an idea of cost, a simple level or oiling is billed out at approximately $150. You needn’t buy any special solutions to clean your awning cover. I think a lot of clients are surprised to find out our Homemade Awning Cleaner Recipe is made with ingredients everyone has at home. This is the same recipe recommended by Sunbrella and we find that it works a charm! There’s no need to change a winning formula. As I mentioned above, Sunbrella fabric is mildew and stain resistant, but that doesn’t mean that your awning won’t get dirty. So if you’re looking to perform a regular clean, make sure all debris and loose dirt are brushed off your extended awning. You can then simply hose it down or use our gentle solution if you feel a little more elbow grease is needed. Use a soft bristle brush to lightly clean off any stubborn areas. 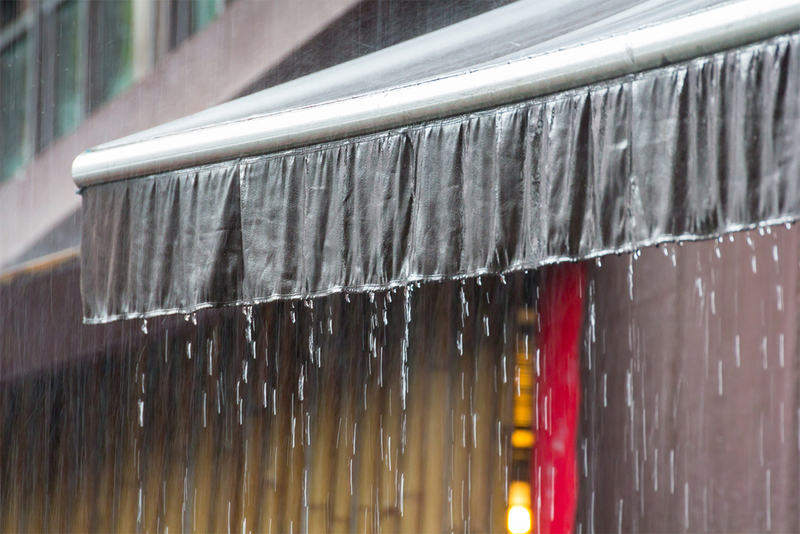 Once you’re done, rinse your awning with fresh water until all soap residue is removed. Please remember to let you awning air dry BEFORE you retract it. As I mentioned above a wet awning that’s been retracted is a breeding ground for mildew and future damage. Once again, apply this solution to your awning with a soft bristle brush and leave it on for 15 minutes. Then gently scrub dingy areas to remove them. When the stains have lifted, wash the awning down with clean water and let it air dry. If you use this bleach solution you should re-treat the fabric so it stays water and stain resistant. If you need help cleaning your shade system Breslow Home Design Center is here. Give us a call today and book one of our awning technicians now. I hope our Homemade Awning Cleaner Recipes help keep your awning in top shape. I spent the weekend out in the backyard getting ready for the warmer weather! Barbeques, dinner parties and my morning coffee on the patio are highlights of spring and summer months at the Shaw house. As soon as we have a warm day, the first thing I do is unfurl my retractable awning to see if everything is in good shape. If my shade system is looking worse for the wear, I use the Homemade Awning Cleaner Recipe to rinse it down. Sunbrella is such a fantastic fabric that years later my shade system still looks spiffy – so I really don’t need to clean it very often. The colors haven’t faded at all and it shows no sign of wear and tear. Gotta love it. If you’re thinking about installing a retractable awning, pergola or canopy give the professionals at Breslow Home Design Center a call today. We will send a shade system specialist to your house for a free in-home consultation. They will go through your space to recommend the best manufacturer, size, and design to meet your goals. We provide this service because we treat our customers like family. The best way to make a purchase you’re thrilled about is to know all the options available to you. So why not give us a call today. We are here to help.